What has happened to the United Kingdom's dominance as the world's leader in Government-to-Business digital service delivery? For years they were well in front of the pack, but in recent times they seem to have thrown in the towel. But why has this happened? Put simply the UK's policy direction is now firmly about removing government from helping businesses start and grow. Instead the free market is expected to deliver this function. This no doubt saves Her Majesty’s Government a lot of cash when it comes to its austerity push - Business Link cost £35 million a year but delivered over ten times that amount in time and money savings to business and additional profit - £376 million in 2009. Subsequent changes in the UK fragmented digital service delivery to business. While Business Link was shut down, investment in multiple areas across government spurred on other costs. And without a single location for business to find what they needed to start, grow and comply with regulation they were given the run-around. Never a good customer experience for busy business owners! With a multitude of private sector websites filling the UK's void, businesses aren’t getting the full picture about their corporate and industry regulatory responsibilities. That’s bad for business as they don’t know what they don’t know. But yet they are entirely accountable for it. 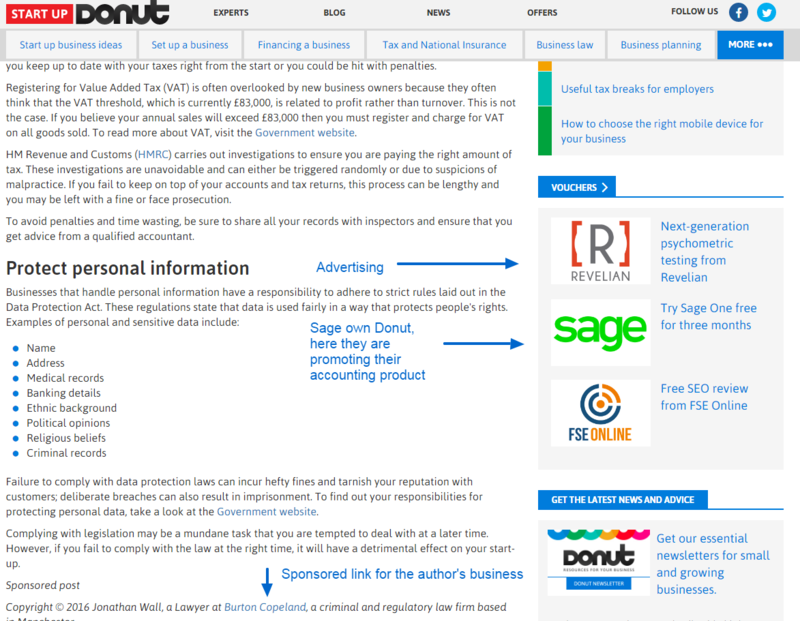 One example of this is the private sector site Donut. 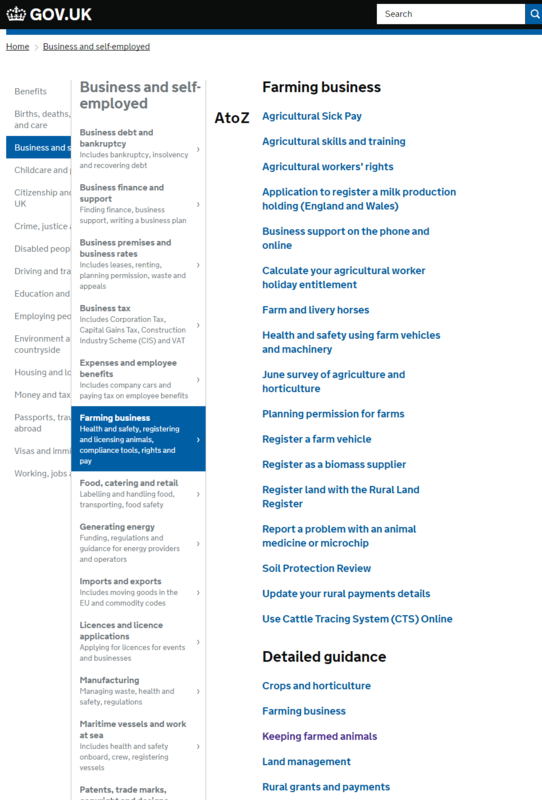 They structure their site to include industry sectors, but these are a thin veneer with little useful contextual information. 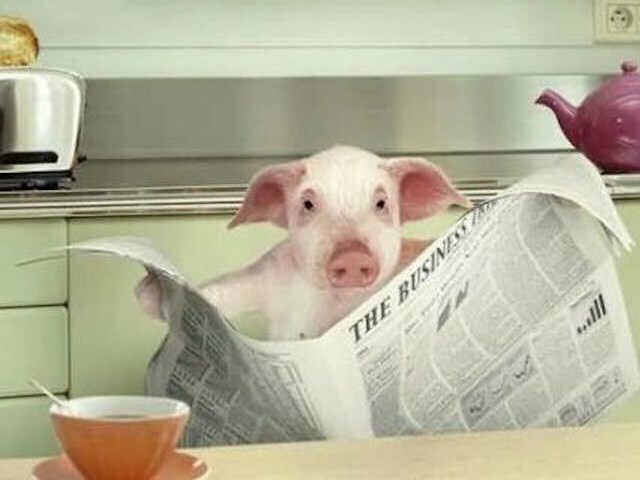 When we checked Donut’s sector based offering it was promoting pig farming. 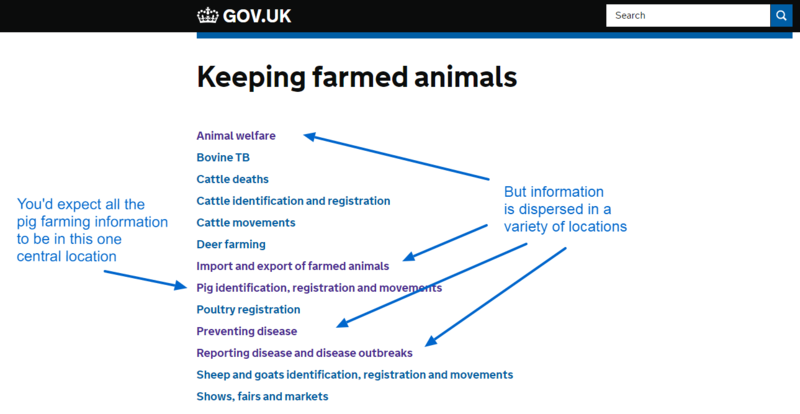 But the information for pig farmers appears to be nothing more than generic business information. 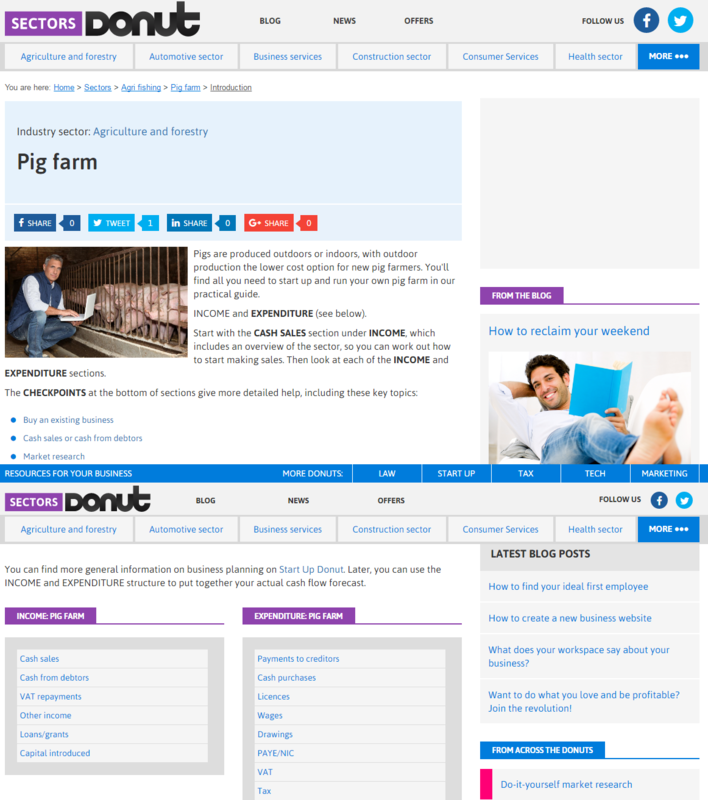 Not a single piece of contextual information, regulation or service except for the words “Pig farming”, a brief paragraph and a Shutterstock photograph of a farmer bizarrely on a laptop next to pigs. As you can see it is focused clearly around customer needs and intuitively groups related content. Sure its design and layout is now dated but you can’t be perfect. Why the UK chose to turn its back on customers for the sake of an ideologically driven policy stance astounds me. The other big issue with the UK Government abandoning its business and industry information provision is the loss of trust for the business owner. This summary should give your government a grounding in some of the significant flaws with the current UK model. Hopefully it will save you - and the businesses in your jurisdiction - a massive headache by avoiding the current UK approach. 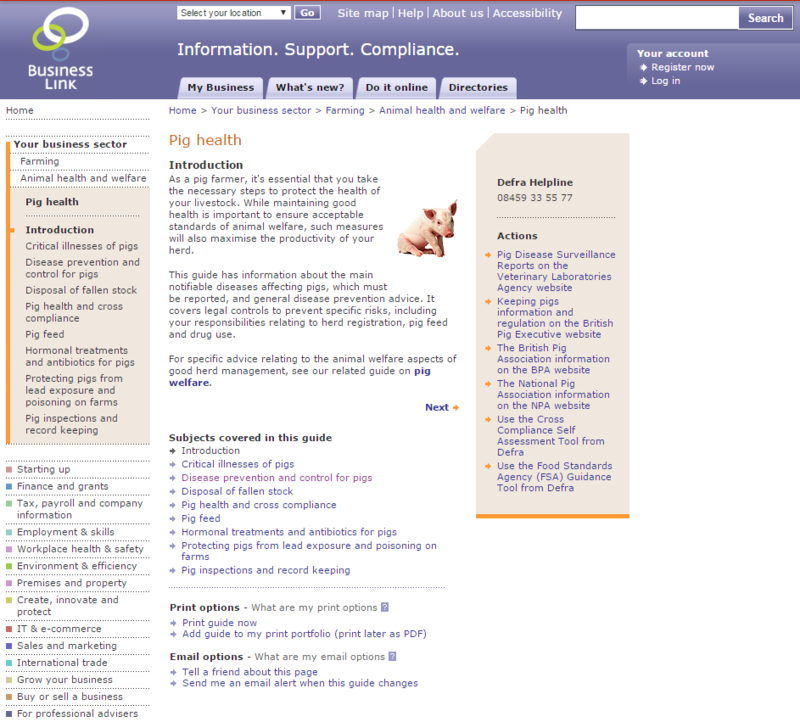 Note: For full transparency Government2Business’ director and article author, Gavin Atkinson, advised and delivered projects for Business Link between 2007 and 2009.